There were three large teams left on K2 till yesterday with resources to fix ropes under bottleneck: Madison Mountaineering, Himalayan Experience and Seven Summits. Madison Mountaineering and Himalayan Experience pulled off plug from K2 and announced an end of expeditions, some climbers of both teams will now attempt Broad Peak. Vanessa O’Brien has told me that she will give it a shot. 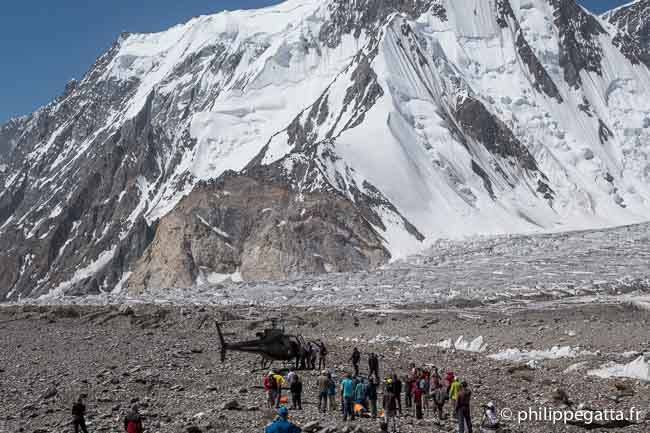 Seven Summits has not officially called off expedition but I am told that they are going home after retrieving gear which was buried by avalanche in advance base camp. The climate here has warmed up dramatically, and as a result snow slides down to the glacial ice have peeled off K2 and the surrounding peaks, in once case the snow avalanches buried another team’s advanced base camp, fortunately no one was there at the time. The weather forecast has much snow ahead as well as continued warm temperatures, so without any indication that conditions may improve we are abandoning our climb of K2. Mike Horne, the Swiss/Sth African superman and his equally talented team left BC yesterday morning and climbed to C3 uninterrupted. This 6-man team is the strongest climbers I have ever encountered. I have briefly run into Uli Stech on the slopes of Everest, but these guys take all prizes. Mike Horn declare bluntly that despite this being his 4th attempt and having spent 18 months of his life at K2 BC trying to succeed, he was adamant that K2 could not be climbed this year. Coming from just anyone, this revelation could have been taken with a pinch of salt – but coming from such a strong group of climbers [the likes of which I have never previously seen] it struck home like a missile. No one in the Himex team could hold a candle to their strength in sugar snow and one could sense this fact pass through all minds. On our first foray up K2 to C1 all those weeks ago, Mike and his team came careering down the mountain, virtually free-falling through the waist deep snow and not clipped into any of the safety ropes – they had declined to wear harnesses! Karakorum Expeditions team will also leave with Madison’s team, If seven summits also leaves then only 5-6 climbers will be left in the base camp, they don’t have resources to fix lines again and conditions are wild. 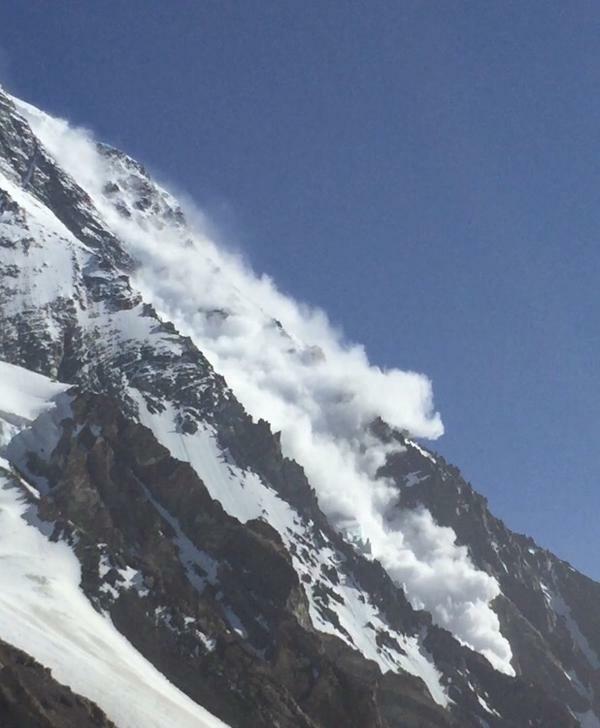 Climbers from broad Peak have witnessed that there are no tents left in camp 3, probably swept away by avalanche. This is all I have for now, K2 is practically over without any summit. There might be few more summits on Broad Peak.